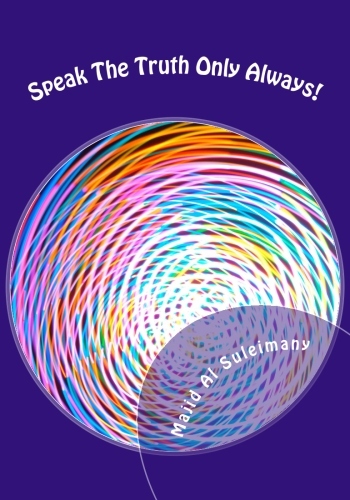 Category Archives: The New Book – Speak The Truth Only Always! Two Samples of The Works! M.04 Open Forums – Or Entrapments? 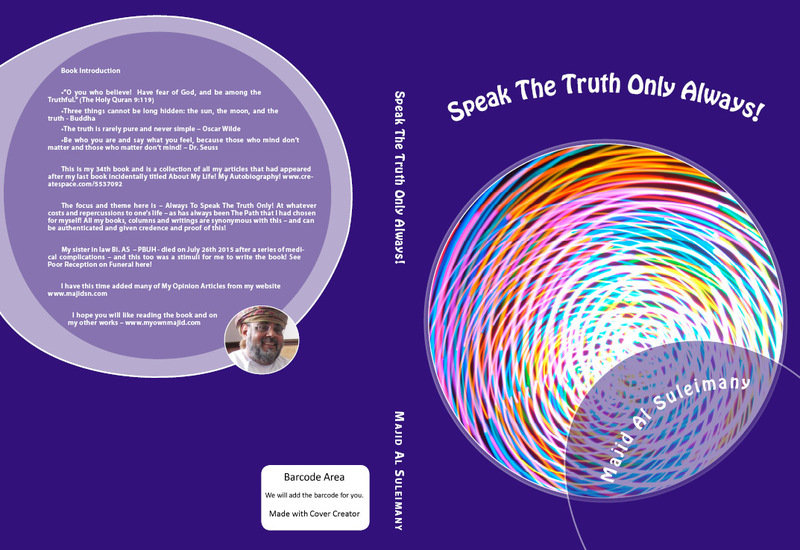 When I was working for this Oil Company at one time there was this Open Forum that anyone Staff – even Locals – could write to The Top Guys in Shell International in London and The Hague! The Local Management were ‘encouraged’ to allow their people also to ‘contribute’. In hindsight, I think it was more an ‘An Entrapment’ to see who of the local guys more active and vocal – with ‘Yours Truly’ on board! I used to raise many issues related to Omanisation (Localisation), Training and Development and Recruitment and Job Opportunities for The Omani Youth! This really incensed the Local Admin Director who kept on saying that as HR you are in Management and ‘supposed to defend ‘Management’! I retorted that I was not ‘attacking any Management of any sort’ and that as HR was ‘The Conscience Keeper’ of The Establishment – and that ‘freedom of expression’ was guaranteed to us in ‘The Forums’ I had every right to participate! This made him more mad by my obstinacy and vocalism! I knew I was not going to be promoted being under him anyway – or even get a higher bonus – so why the heck? Let me enjoy myself! They could not fire me anyway because the ‘Laws of The Country’ protected us (then!) and also I was doing my job quite well – with exceptional of this added irritant – especially to him! Like many (Office) Dictators, he thought I was doing this especially as ‘I was planning to instigate an uprising to overthrow him! L L ! One day he came to my Office to try a different approach to say even if he wanted to promote me he could not – because of this element! As he ‘heard’ I was doing a good job otherwise! Anyway, I stopped contributing when I heard people ‘outside the Offices’ talking about this – and when one in Nigeria wrote to me to put his case of Shell causing environmental disasters in Warri and The Nile Delta! I realized things were turning sour and deadly – and soon after Locals were ‘no longer allowed’ to participate due to ‘pressures beyond their control and coming from Outside The Company! M.05 The British Police Officer (in Oman)! He was not in a Police Vehicle but though Police Registered the Peugeot 504 – always white colour – and I was behind him in my Toyota Crown when he went through a No Entry sign near The Offices Bank in those days. He came across to me on the other side of the road – again crossing a No Entry Sign as he blocked me as I was coming in! He was fuming mad – and breathing heavily? He asked me why did I blow my car horn at him? As he was in Police Uniform? I said meekly to him – because as a Police Officer you had violated Traffic Rules – and you should know better! Whilst all the time putting a ‘brave front’ whilst shaking all inside! He wanted my Driving License and my PDO card. I was at first reluctant – but then I gave him. He told me he was a ‘Personal Friend’ of a Top Public Official (also British!) and he will tell the MD about me! He wrote down my full name – my Personnel Number – and my Department! Later on the good MD called me in his Office for a private chat – his good advice to be careful because ‘these guys (then!) could have you arrested for several days – or weeks even – without taking you to Court – even if you were right! It is his words against your – and guess whom The Judge will believe! He said tome things of ‘reality’ which even today I will not be able to put down here! L ! I found it strange and odd when he (The Police Official) said to me – As Officers in case of Emergencies – we can break the Laws! I do not know if going to the Bank was an emergency – unless it was only for him! L!